WestJet has just loaded the fares for their new route from Winnipeg (YWG) to London Gatwick, United Kingdom (LGW). Yes, you are reading that correctly. WestJet has just officially announced a new route from Winnipeg, and it's non-stop flights to Europe! The fares were loaded into the system this morning. As is often the case with a new WestJet route, they are offering some pretty great introductory prices to help fill the planes. 1. Go to WestJet.com and search for a flight from Winnipeg (YWG) to London Gatwick (LGW). Start with Wed to Wed dates. Modifying the dates on Kayak, and mixing and matching the above departure and return dates may also work, for longer trip lengths. Other dates in July and August 2016 are available in the low $700s. Note: Some of these flights fly into London Heathrow (LHR) but out of London Gatwick (LGW). 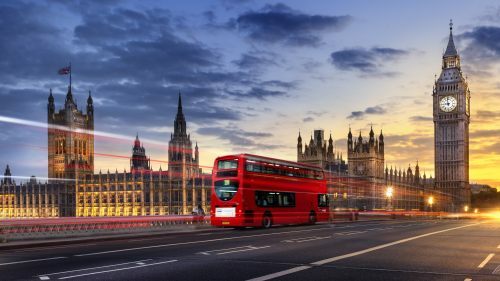 You can also substitute London (LON) for Dublin, Ireland (DUB) on the same dates and find flights for around $725 CAD roundtrip including taxes. 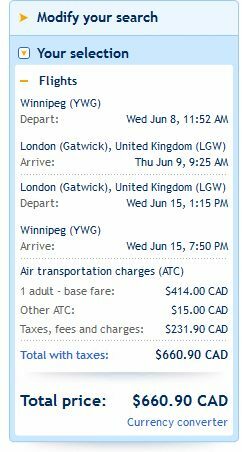 Winnipeg to Iceland, London, or Denmark in summer - $448 roundtrip after tax!! winnipeg, ywg, flight deals, westjet, europe, dublin, ireland, dub, northern europe, western europe, london, england, united kingdom, lgw and gatwick.